RICHMOND — Jens Soering, a convicted double murderer whose innocence claims have drawn support from German Chancellor Angela Merkel and a detective who investigated the case more than 30 years ago, has lost another round with the Virginia Parole Board. The board rejected Soering’s request for parole, the prisoner learned Friday. 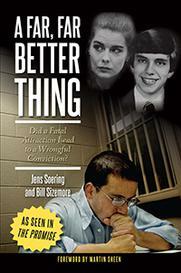 In addition to parole, Soering has been seeking a full pardon from Gov. Terry McAuliffe (D). The pardon request is still under consideration, said Brian Moran, McAuliffe’s secretary of public safety and homeland security. “His claim of innocence is still being processed and investigated by [the] parole board,” Moran said by text message. The board alone decides on requests for parole, but it makes recommendations to the governor on pardon petitions. 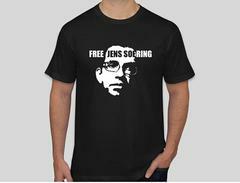 This was Soering’s 12th go-round with the board but the first to follow two developments that he and supporters thought would boost his chances for release. One was a German documentary last year that raised new questions about his conviction. The other was a new analysis of evidence indicating that Soering was not the source of type-O blood found at the scene, as prosecutors had contended at his 1990 trial. A German diplomat’s son, Soering is serving two life sentences for the 1985 slayings of a girlfriend’s parents in central Virginia. At the time of the murders, he and his girlfriend, Elizabeth Haysom, had been honors students at the University of Virginia. Soering initially confessed to the crime but later said he was only trying to protect Haysom from Virginia’s electric chair under the mistaken belief that he had diplomatic immunity because of his father’s position. He was convicted in a sensational 1990 trial that drew international press and gavel-to-gavel coverage on local cable television. Haysom pleaded guilty to being an accessory before the fact, contending that she helped plan the murders but did not physically take part. She is serving a 90-year sentence at Fluvanna Correctional Center for Women near Charlottesville. Soering converted to Catholicism in prison and went on to write a string of books on religion, meditation, prison reform and his own criminal case. He has attracted a large and devoted group of supporters, who have pressed for his release for decades. They include actor Martin Sheen, who wrote the foreword to Soering’s latest book, which was published in March by Lantern Books. In 2010, the German Embassy and Richmond’s Catholic bishop convinced then-Gov. Tim Kaine (D) to approve his transfer to a German prison, on the condition that he serve at least two years there. But Kaine’s action — which he later justified as a way to save the commonwealth incarceration costs — caused an uproar and was reversed by his Republican successor, Robert F. McDonnell. In the years since, Merkel personally pressed for Soering’s transfer during a visit with then-President Barack Obama. A new blood analysis performed last summer, which indicates that a male other than Soering was the source of the type-O blood found at the home of Derek and Nancy Haysom, won Soering a notable convert: Chuck Reid, a former Bedford County sheriff’s deputy who was originally assigned to the case. He began speaking out about his belief that Virginia had locked up the wrong man. But others remain convinced of Soering’s guilt. Among them is Maj. Ricky Gardner, who was also on the case from the start. He did not immediately respond to a request for comment Friday. But he dismissed Reid’s misgivings in interviews last year.